Locating at the Mosquitia region of eastern Honduras in Central America, La Ciudad Blanca, which translates from Spanish as ‘The White City’ is a legendary settlement. One of the days when Charles Lindberg took a flight across the jungles of Mosquitia in Honduras, he found local people worshipping huge monkey sculptures in the ‘lost city of monkey Gods’, according to some legends. Following his descent and exploring Lindberg’s accounts, Theodore Morde – an American adventurer – is claimed to have found that lost city in 1940. When he reached there, he found how local Indians were praying the gigantic idol of an ape and making sacrifices in the name of the monkey God, according to his journals. However, he died in London in a car and the location details died with him. Originally, Morde had been looking for the White City, a hidden city filled with gold and refuge of gods, as reported by Hernan Cortez. 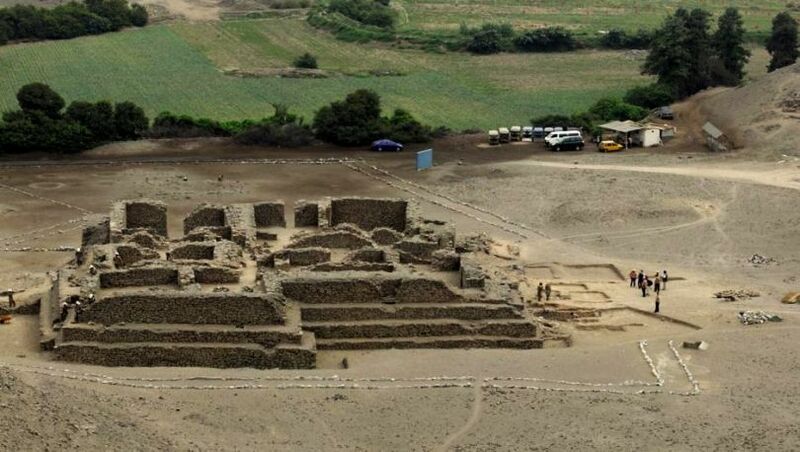 Evidences of a plaza dotted with ancient pyramids have been found by researchers from University of Houston and the National Center for Airborne Laster Mapping and is now reclaimed by the jungle on the east side of Honduras. On the western end, there is a city of Copan, the site of ancient Howler Monkey God statue. What’s interesting is that the statue resembles the Hindu character – Hanuman from the Ramayana. In the Ramayana, Kishkinda Kanda (Sarga 37) tells the story about Monkey chiefs go round the earth at the behest of Sugreeva, to fetch all the monkey champions on earth to the presence of Sugreeva, and also about Yuddha Kanda, a war episode where Hanuman travels to Paatala Loka, somewhere in Central America and Brazil, trying to meet his son Makaradhwaja, who resembled him. Having killed King of Paatala, Hanuman announces his son as the ruler of that kingdom. It is assumed that his son and the entire kingdom might have started to worship Hanuman as a God ever since. It might also be that the ancient Americans in the central and southern regions paint red colors in all their statues, pertaining to the Hanuman idols that are smeared in orange. There is also a case where Vedic Havan Kund was discovered in Peru, an evidence of Vedic influence in this region. In his journals, Morder describes how he traveled through swamps, up rivers, and over mountains before coming up in the city will walls. He writes about large, ruined buildings, and also about how Paya guides told him about a large staircase leading to the statue of a ‘Monkey God’. Morde had speculated the resemblance between that Monkey God and Hanuman, who again is considered to be related to the legend of Paul Bunyan, in terms of strength and daring characteristics. The temple was told to have “long, staired approach” with stone effigies of monkeys. “The heart of the temple was a high stone dais on which the statue of Monkey God rested. Before it was a place of sacrifice,” reads the words. There are immense balustrades flanking to the steps of the dais, according to some. “At the beginning of one was the colossal image of a frog, at other a crocodile.” He also reveals that the guides told him that Chorotegas inhabited the city thousands of years ago. Today, those artifacts are now parts of the Heye Foundation Museum of the American Indian in New York City. Those artifacts include metal razors, stone blades, flute, stone sanctuary, utensils, gold, silver, platinum, and oil. Morde tried to return back to the city, but couldn’t. In 1954, he killed himself. The reasons are yet to be known. But what is known is that the City of the Monkey God, Hanuman exists somewhere in the world.